Montell Owens was signed by the Detroit Lions Thursday, just two weeks after he was cut by the Jacksonville Jaguars. He’s a running back, but excels at special teams play. Owens set the Jaguars franchise record last season for career special teams tackles with 118 and has tied the franchise record for most special teams tackles in a season at 30. 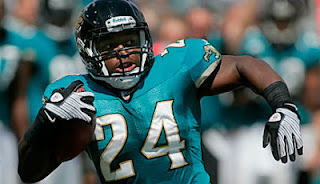 He spent the last seven seasons in Jacksonville after they signed him as an undrafted rookie free agent out of the University of Maine in 2006. It is no coincidence that last season his special teams coach was John Bonamego who now holds that same position with the Lions. Owens has done a little return work, but he specializes in coverage. In 2010 and 2011 he went to the Pro Bowl for his special teams play. Kassim Osgood, who played special teams for the Lions last season, was not re-signed. Will Owens’ addition affect the Lions running back position? It could. They’ve got running backs Reggie Bush, Mikel Leshoure, Joique Bell, rookie Theo Riddick and undrafted rookie Steven Miller currently on the roster. Owens had 42 carries for 209 yards and a touchdown last season. 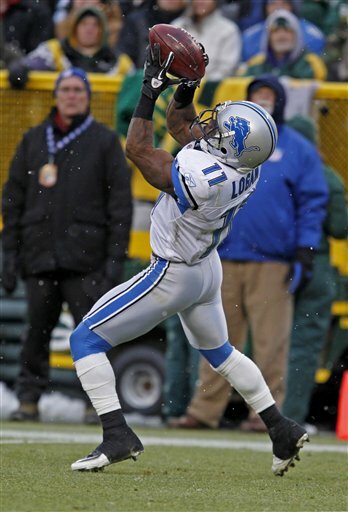 ALLEN PARK — We love to talk Detroit Lions’ cornerbacks. Over the years it’s become an offseason tradition. Who will line up opposite Chris Houston when the season opens on Sept. 8? 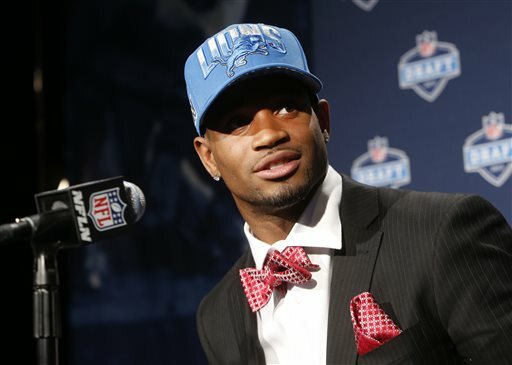 Will it be rookie Darius Slay, the second-round pick? How about Chris Greenwood, Bill Bentley or Jonte Green who were drafted in 2012? The 31-year-old Bartell was signed last Dec. 17 to help out due to so many cornerback injuries. “I thought he played well at the end of the year,’’ coach Jim Schwartz said. “We played the Bears in the last game of the season. They tested him early and he did a good job defending those balls. “He’s got great size (6-foot-1, 210), he’s got some experience, he’s got a lot of experience. He’s got great size and he’s right in the mix with the other guys,’’ Schwartz said. Bartell played seven seasons with the St. Louis Rams. Then last season with the Oakland Raiders before he was released on Dec. 10. “He’s a veteran player and he’s seen a lot of different things, played a lot of different schemes so he’s a quicker study and getting up to speed whereas the rookies everything is new to them,’’ Schwartz said. Slay has yet to participate in OTAs because he’s recovering from minor knee surgery. Bentley had earned the start out of training camp last summer, but a shoulder injury ended his season early. Green played more than Bentley or Greenwood and certainly got off to a good start for a rookie. Greenwood didn’t play a snap after he was injured during OTAs a year ago. He’s a mystery man at this point. Had a great chat today with tons of good questions. We talked Ron Bartell, Ziggy Ansah, Jim Schwartz, Mike Thomas, Darius Slay, Louis Delmas, Larry Warford, Montell Owens, John Wendling (twice) and much more ... Check it out here. And join me at 3 p.m. next Thursday (June 6) for the next chat. ALLEN PARK — Ndamukong Suh restructured his contract in March to give the Detroit Lions a little more salary cap wiggle room. The defensive tackle has two years remaining on his rookie deal. He said on Wednesday he’s really not looking far enough ahead to think about a long-term extension at this point. “I’m two years away from even considering those things but to be honest I’d love to be here in Detroit,’’ Suh said. “It’s a team and it’s an organization that I love being a part of and playing for. 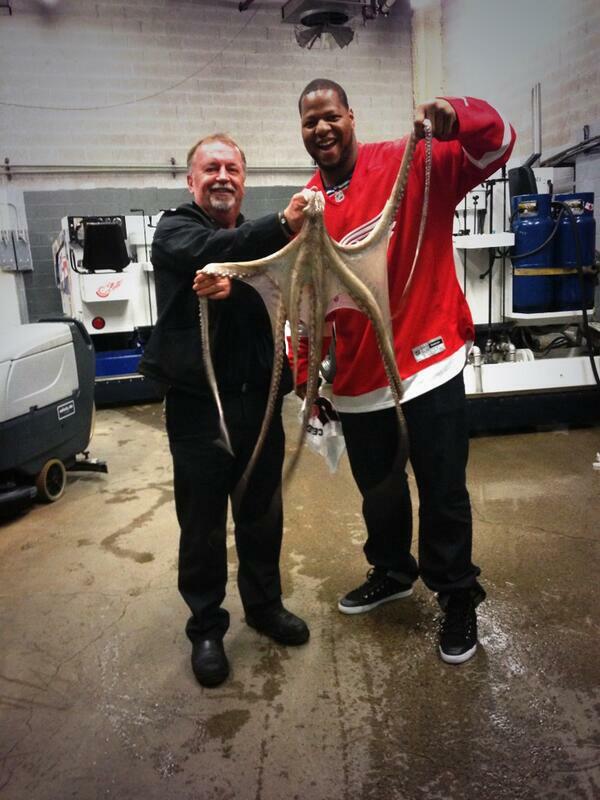 Suh was at Game 5 between the Red Wings and Chicago Blackhawks and rode the Zamboni during one of the intermissions wearing a Red Wings jersey. 1. The Lions were awarded quarterback Thaddeus Lewis off waivers from Cleveland. Lewis had one start last season and was 22 of 32 for 204 yards with a touchdown and an interception. The Lions have Shaun Hill as a backup but he’s coming off foot surgery and last week at OTAs had his left foot in an orthopedic boot. Kellen Moore was the third quarterback last season. Perhaps Lewis will push Moore and rookie Alex Carder (Western Michigan) for that third spot. 2. Jeff Backus will return but in a coaching role of sorts. Backus will serve as a part-time coaching intern. He’ll work with offensive line coach Jeremiah Washburn to help develop the young line especially Riley Reiff, Jason Fox and Corey Hilliard at the tackle position. 3. Spencer Nealy, an undrafted defensive lineman, was signed. He played at Texas A&M at both defensive end and tackle. 4. Robert Maci, an undrafted defensive end out of Purdue (Cliff Avril’s alma mater), was signed. 5. Released defensive tackle Michael Brooks (East Carolina) and wide receiver Chastin West (Fresno State). 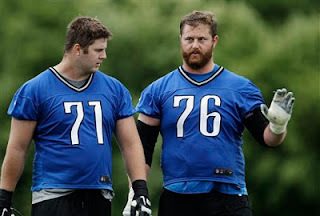 When Jeff Backus’ retirement was announced in March, Detroit Lions president Tom Lewand said the team wanted to keep the door open for the long-time left tackle. On Tuesday they announced that Backus will serve as a part-time coaching intern this season helping with the offensive line. It’s a move that could pay big benefits because the Lions don’t have a veteran tackle on the roster. Riley Reiff is expected to start at left tackle, but he had just one start in his rookie season last year. Jason Fox and Corey Hilliard are expected to battle it out for the right tackle position. Both are lacking game-day experience. Backus helped out Reiff last season and with this move he can continue to share his 12 seasons of experience. Backus will help out offensive line coach Jeremiah Washburn who will be in his first season in charge of the line after serving as an assistant for four seasons. Also Terry Heffernan has been hired as the offensive line assistant coach after working the same position for the last six seasons at Wayne State. The 35-year-old Backus missed just one start in his 12 seasons. Ashlee Palmer loves the spot he is in . After three seasons with the Detroit Lions playing mostly special teams, he is one of three leading candidates to replace Justin Durant at outside linebacker. Palmer, along with Tahir Whitehead and Travis Lewis, are considered the top contenders for the position. The 27-year-old Palmer has something neither of them do — experience. He played in all 16 games each of the last three seasons. And in that span he has seven starts at linebacker including two in 2012. He loves special teams and even when he started was able to contribute. He understands if he wins the starting position, he might not see as much time on special teams. For now Palmer is helping the youngsters. Palmer was originally claimed off waivers by the Lions in February 2010. He had been waived two days earlier by the Buffalo Bills who signed him as an undrafted free agent out of MIssissippi in 2009. 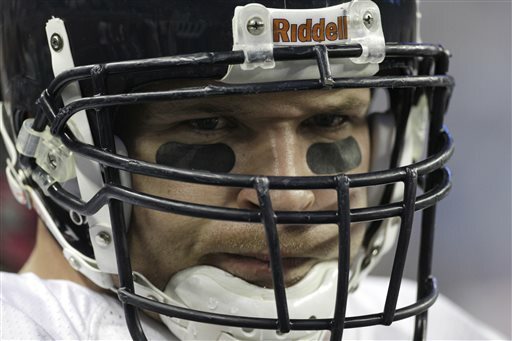 ALLEN PARK — After Chicago's Brian Urlacher announced his retirement on Wednesday, the Lions had nothing but good things to say about the Bears’ long-time middle linebacker. Urlacher’s knees started slowing him down in 2009. He could find no home as a free agent this offseason. He left the game quietly (like Lions left tackle Jeff Backus), issuing this statement: “I'm not sure I would bring a level of performance of passion that is up to my standards. When considering this, along with the fact I could retire after a 13-year career wearing only one jersey for such a storied franchise, my decision became pretty clear. I will miss this great game, but I leave it with no regrets." Here's a replay of today's live chat on the Lions who are in their first week of OTAs (organized team activities). We hit on all different topics from rookies to Reggie Bush to the coaching staff changes. Check it out. We'll do it again next Thursday at 3 p.m. Until then, Tweet me questions @PaulaPasche. 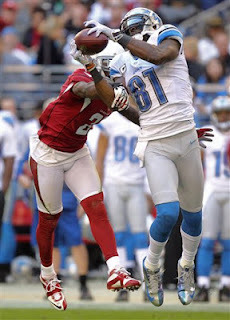 Calvin Johnson and Reggie Bush have not played together as Detroit Lions yet, but the possibilities excite each of them. The addition of Bush, who signed a four-year, $16 million deal as a free agent, was done mostly for the purpose of opening up the field for Johnson. This has not been lost on the man better known as Megatron. He knows that having Bush line up on the Lions’ offense will force opposing defensive coordinators to pay attention. When Bush signed with the Lions in March, he said the Lions didn’t need to show him more than one film clip of how defenses line up when they have to keep an eye on Johnson. After he signed, Bush said: “It’s a running back’s dream. It’s the first thing we talked about when we’re watching film and to see those safeties deep and to see the safeties rolling over, double-coveraging Calvin Johnson, it’s a running back’s dream. The two will practice together as OTAs start on Tuesday. They’ll get a better feel for the offense during mandatory minicamp June 11-13. Calvin Johnson said on Monday that he is praying for Titus Young who is jailed in California after a number of recent arrests. “It’s very tough. We were talking earlier, man, it’s just one of those things that we pray that he can get his off the field situation straight so then he can move forward with his life,’’ Johnson said. Young was drafted in the second round of the 2011 draft. Even though Johnson is the NFL’s top receiver, Young could never seem comfortable in the role of No. 2. 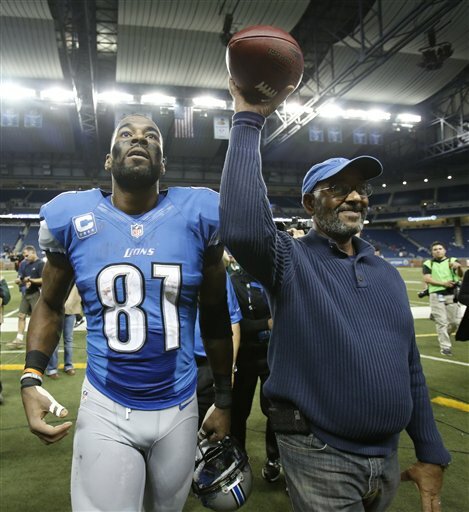 The wide receiver became a distraction last season and was released by the Lions on Feb. 4. The Lions start OTAs (organized team activities) on Tuesday. They have several wide receivers on the roster and a wide-open opportunity with Young gone. Johnson also confirmed on Monday that he played last season with broken fingers. Like 28 other NFL teams, the Detroit Lions will have OTAs (organized team activities) this week. The first session is on Tuesday. No contact, no one-on-one drills and also no blocking, tackling, pass-rushing and bump-and-run situations. That’s all in the Collective Bargaining Agreement. They will be allowed 11-on-11 drills which will give us an initial idea of where some players might line up. It’s not like training camp where the competition will be hot at a handful of positions. It is a start, though. 1. 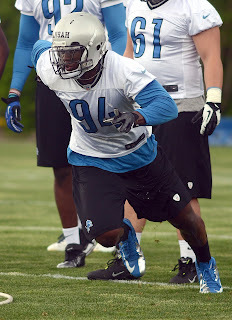 Will be interesting to see top draft pick Ziggy Ansah line up against veterans. Expect to see him at right defensive end. He looked really quick off the end in rookie minicamp. Let’s see if that sticks against Riley Reiff. 2. Even though one-on-one drills matching defensive backs against wide receivers aren’t allowed, will get our first look at safety Glover Quin who signed as a free agent and should play opposite Louis Delmas. Not sure if we’ll see second-round pick cornerback Darius Slay. He had minor knee surgery a few weeks ago. He’ll be back sooner rather than later, but this might be a little too soon. 3. Of course, it’s early but we’ll get a look at whether Corey Hilliard or Jason Fox lines up at right tackle with the starters. It does not mean that guy will be the right tackle in September, but it’s a starting point. 4. Also will get a first look at the competition at wide receiver. Other than Calvin Johnson, Nate Burleson and Ryan Broyles (when he gets healthy) there are no absolutes to make the team. Should be great competition. 5. 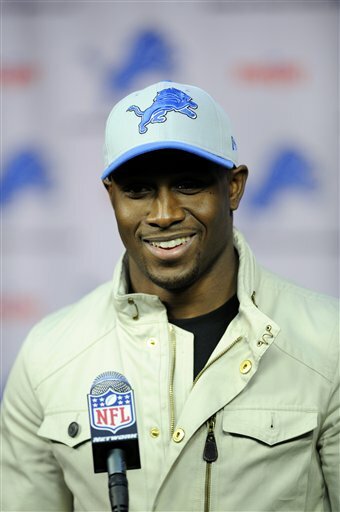 Reggie Bush in a Lions’ uniform. No doubt he seems excited to get going. Expect it will seem a little different seeing him in Honolulu blue and silver even though we’ve had two months to get used to the idea. 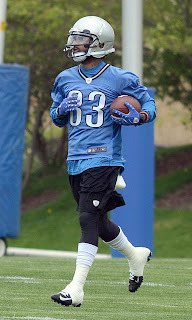 One thing is for certain the Detroit Lions wlll be looking for a player or players to win the kick returner and punt returner positions in training camp and preseason games. Stefan Logan was not re-signed. — Running back Joique Bell returned two kicks last season for a total of 54 yards. But he fumbled one of those returns. He only fumbled once on 82 carries, so he’s mostly sure-handed. He’ll definitely get a look. — Wide receiver Mike Thomas, who arrived from Jacksonville via trade mid-season in 2012, returned kicks and punts for the Jaguars. To make the roster he’s likely going to have to contribute on special teams. — Rookie running back Steven MIller tried to make the most of his chances at becoming a returner during rookie minicamp. He’s speedy, small (5-foot-7, 172 pounds), slippery and eager. — Rookie Theo Riddick was the primary kick returner for Notre Dame as a freshman. It’s likely one of the reasons the Lions grabbed him in the sixth round. He didn’t participate in return drills at rookie minicamp but coach Jim Schwartz said not to read anything into that. Others could contribute also. 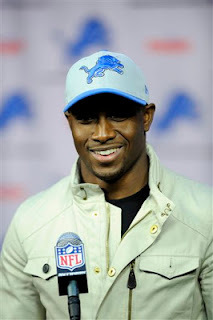 Reggie Bush said he's game, but he hasn't returned punts since he was with the New Orleans Saints. Ryan Broyles was drafted to use in the return game, but for the second straight training camp he will be coming off ACL surgery. 1. John Bonamego has been hired to replace Danny Crossman as special teams coordinator. 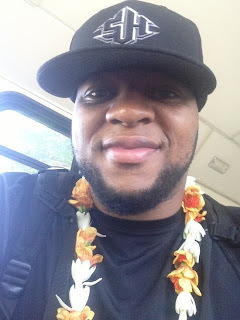 Bonamego is a veteran with stops along the way at Green Bay, Jacksonville, New Orleans and Miami. He was with the Jaguars last season. New eyes, new ideas. Not a bad thing. 2. Jason Hanson retired after 21 seasons of being Mr. Dependable. 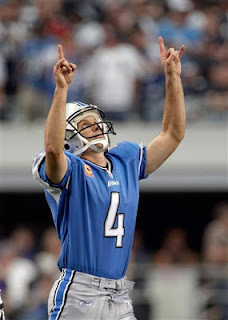 There are fans who have never seen another placekicker on the field for the Lions. Veteran David Akers was signed to replace Hanson. He is coming off a lousy season in San Francisco, but could be a good replacement. Hanson wasn’t asked about Akers, but he offered his opinion that it was a good signing. We will see. 3. Kickalicious to the rescue. After signing Akers, the Lions signed Norwegian Havard Rugland, who is also known as Kickalicious because of a four-minute YouTube video displaying all his trick kicks. He’s never played football. At the rookie minicamp, he wore a helmet for the first time. Will be interesting to watch. Will the Lions keep him on for kickoffs only? Time will tell. Also another reason he was signed is that like Akers he is a lefty, which will make it easier for the holder. 4. Punting was a disaster last season. After Ben Graham was injured the Lions brought back Nick Harris who is a great guy but lacks the leg strength he used to have. They drafted Sam Martin in the fifth round and signed free agent punter Blake Clingan. They’ll battle it out in camp. Whoever wins will be another new face on the special teams roster. 5. Rumors of re-signing Kassim Osgood, a special teams specialist were out there. But it has not happened. He would be a huge loss. He excelled on all the units. He hasn’t signed anywhere else so maybe there’s a chance he’ll return. Keep up with him on Twitter @KassimOsgood81. Calvin Johnson was the only member of the Detroit Lions to make Sports Illustrated’s Fortunate 50 — a list of the 50 highest paid players in the United States that was released Wednesday. Johnson, who broke the single season receiving yards record in 2012, signed a deal in March 2012 that paid him $21,750,000 last season. He also earned $850,000 in endorsements to bring his total to $22,600,000. Six NFL players ranked ahead of Johnson who wasn’t ranked last year. Drew Brees ranks third with total earnings of $47,800,00, Denver’s Peyton Manning comes in at No. 8 with $31 million in earnings; Tampa Bay’s Vincent Jackson ranks 15th with $25,360,000; Buffalo’s Mario Williams comes in at 18th with $25,150,000; Tampa Bay’s Carl Nicks at 21st with $24,285,000 (no endorsements); Houston’s Matt Schaub at 27th with $22,780,000 total. For the NFL players, the season that ended in February was used for the calculations. Floyd Mayweather Jr., ranks first with $90 million in earnings which includes no endorsement money. Tiger Woods had been first a year ago and was knocked down to fifth. OK, here’s your NFL special teams lesson of the day. 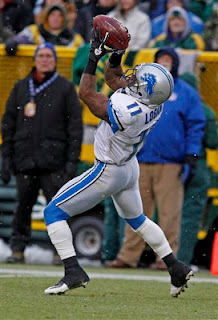 The Detroit Lions, who didn’t re-sign Stefan Logan, are in need of a kick returner and a punt returner. It won’t necessarily be the same guy. “Well, you know, they’ve become a little bit more similar. First of all, catching a kick is a lot different than catching a punt. It’s two different deliveries of the football. Catching a punt’s a lot more difficult. Catching a kick, that’s the easiest part of being a kick returner. “But the way the rules have gone in the last couple years, getting rid of the wedge and some different things like that, you’re seeing more man blocking, which is what you see on punt return. So, rather than just sort of running full speed and taking that one cut that kick returners used to and the emphasis was on just a straight line guy who could take one cut and explode, you’re seeing guys pick and choose a little bit more. That’s more the skill of a punt returner. The Detroit Lions’ draft picks, along with undrafted signed free agents and try-outs completed a three-day rookie minicamp on Sunday. 2. With no contact, it is way too difficult to judge offensive line talent. But guard Larry Warford (third-round out of Kentucky) is one solid big specimen. No belly fat . In fact, he said his body fat was down to 24 percent. He lined up at right guard until he was dinged late in Saturday’s session. He worked individual drills only on Sunday. He could have gone, but coach Jim Schwartz like to err on the side of caution. 3. Both tight ends could find themselves on the 53-man roster. Michael Williams (seventh-round out of Alabama) and undrafted rookie free agent Joe Fauria (UCLA) mixed and matched throughout the minicamp. Fauria is 6-foot-7 and Williams 6-foot-6 could create interesting matchup problems. Fauria said he has a permanent chip on his shoulder because he wasn’t drafted and will do anything to make the roster. 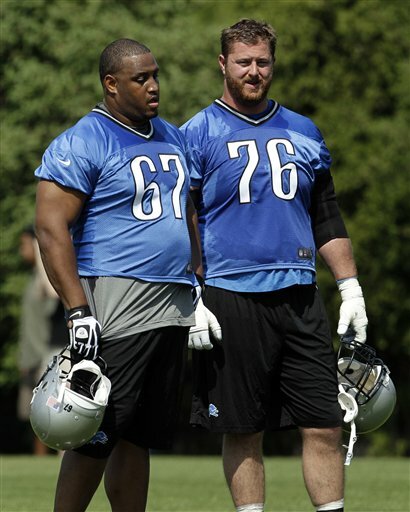 These two will push Brandon Pettigrew and Tony Scheffler (both in the last year of their contracts). Williams is known as more of a blocking tight end, but he can catch. Fauria, who is thin, excels more at catching and, in fact, lined up in his senior season as a slot receiver. 4. Steven Miller, undrafted running back out of Appalachian State, was buzzing on the field. He’s tiny at 5-foot-7 and 172, but is slippery when he’s running the ball. Loved the fact that during one return drill on Sunday he was making his way back to the group after his attempt, when he noticed the next guy up wasn’t paying attention. So Miller stepped right in and got an extra repetition. Guarantee you the coaches saw that on the field and on film. 5. Wide receiver Corey Fuller (sixth round out of Virginia Tech) is light on football experience, but he was one of the standouts of the weekend. He has size (6-foot-2) and speed. Last season he averaged 18 yards per catch at Virgnia Tech. Long way to go, but Lions need help at wide receiver. Fuller is off to a good start. Tight end Joseph Fauria, an undrafted free agent who played at UCLA, flashed during Saturday’s rookie minicamp workout. Fauria is 6-foot-7 so it’s hard to miss him. He led the Bruins with a dozen touchdown catches in 2012. Fauria, who wears No. 47, is one of two tight ends at this weekend’s camp. The other is seventh-round pick Michael Williams out of Alabama who is 6-foot-6. The three-day rookie minicamp wraps up on Sunday. It is not open to the public. The Lions have signed all nine of their draft picks prior to three-day rookie minicamp which starts today. DE Ziggy Ansah, the first-round pick, leads the way with a four-year deal. The team announced today that they have signed the following to four-year contracts: CB Darius Slay (Round 2, 36th overall), G Larry Warford (Round 3, 65th overall), DE Devin Taylor (Round 4, 132nd overall), P Sam Martin (Round 5, 137th overall), WR Corey Fuller (Round 6, 171st overall), RB Theo Riddick (Round 6, 199th overall), TE Michael Williams (Round 7, 211th overall) and LB Brandon Hepburn (Round 7, 245th overall). Since the 2011 collective bargaining agreement there is a firm rookie wage scale which makes the signings easier. 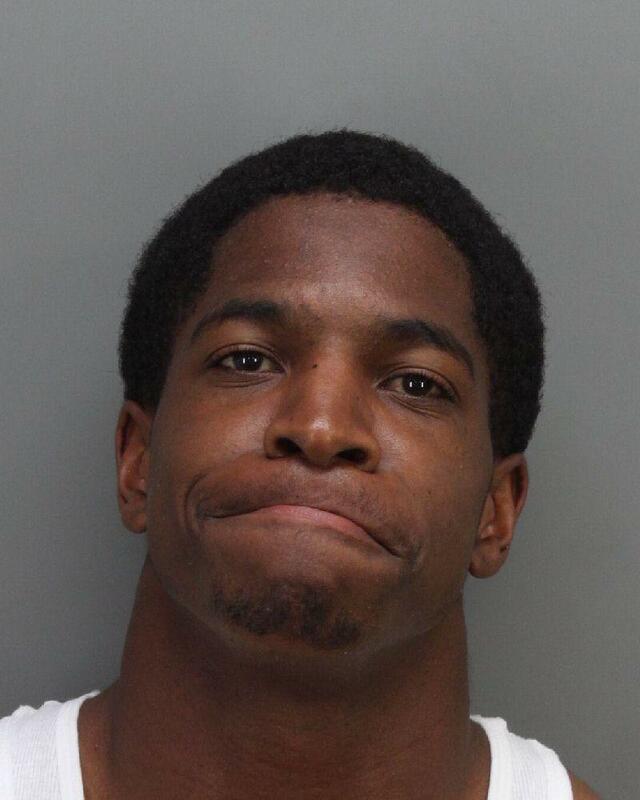 Titus Young, the former Detroit Lions wide receiver, was arrested twice in 15 hours on Sunday by the Moreno Valley Police Department in southern California. According to the police report, Young was stopped at 12:01 a.m. on Sunday after making an illegal left turn in front of a patrol car. Young was stopped and arrested for suspicion of driving under the influence. He was booked at the Robert Presley Detention Center and later issued a citation and released from custody. Hours later, at 2:22 p.m. that day, officers responded to a tow company yard where a man was seen jumping over the fence. It was Young looking for his black Mustang. He was arrested for burglary after the police determined he was trying to take his own vehicle. He was booked again at the same detention center. Two arrests, hence two mug shots. The 23-year-old Young, who was a disruption for the Lions last season, was released by the team on Feb. 4, the first day NFL teams could cut players. He was a problem child for much of the 2012 season. He sucker-punched teammate Louis Delmas last spring and was sent home from the practice facility. 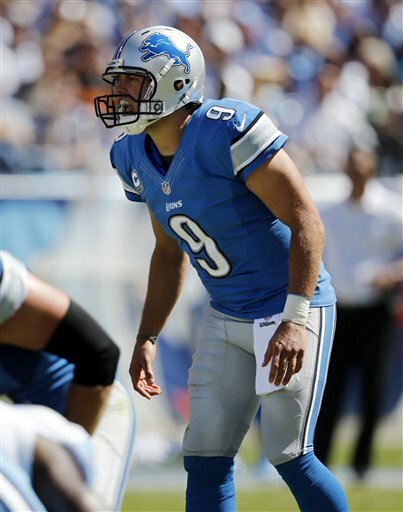 Young lined up in the wrong spots in the Lions game on Nov. 18. He was sent home after that debacle, then allowed back to practice and eventually sent home again. Young, who was a second-round draft pick in 2011 out of Boise State, officially finished the 2012 season on injured reserve with a a bad knee. There is no doubt that Young has NFL-level talent. He just doesn’t have the right mindset to be a quality NFL wide receiver. Two weeks prior to his release he sent out tweets apparently looking for sympathy. It backfired. Doesn’t exactly sound like a mature NFL player. Coach Jim Schwartz told reporters at the Senior Bowl on the day following the tweets that they weren’t such a good idea. Lions general manager Martin Mayhew said he couldn’t trade Young because he had no trade value. Young was claimed off waivers in early February by the St. Louis Rams, but cut a few days later after he spent time with the team. Rams coach Jeff Fisher suggested that he would be a better fit for another NFL team. Cornerback Darius Slay, the second-round pick of the Detroit Lions, underwent arthroscopic knee surgery on Friday, according to a report from ESPN’s Adam Schefter. He is expected to be ready for training camp in July. Prior to the draft reports surfaced that Slay had a torn meniscus. This was not a secret to the Lions. On draft night Slay said he was told he wouldn’t knee surgery. He tried to just shrug it off as no big deal. Also at the draft the Lions said they expected Slay to participate in rookie minicamp which starts on Friday. Slay, who played at Mississippi State, is expected to compete for the starting position opposite Chris Houston. Ndamukong Suh was generous to Nebraska following graduation and now he is helping out his former high school. Suh, the Detroit Lions’ defensive tackle, has donated $250,000 to Grant High School in Portland, Ore., to use for a new football facility according to a story in the Portland Tribune. Last season the high school played all of its games on the road because its stadium was unsafe. Nike, a Suh sponsor, will also chip in $350,000 for the facility which is expected to be ready in the fall. After Suh was drafted by the Lions, he donated $2.6 million to Nebraska where he had earned a degree in engineering. In 2011 the Giving Back Fund named Suh the most charitable athlete in America. He was also named the dirtiest player in the NFL in 2011 and 2012 in a players poll in the Sporting News. When the NFL draft is over, the fun is just beginning. That’s when NFL teams angle to sign the best of the undrafted rookies. The Lions signed 11 of them this week and they will join the nine drafted rookies in minicamp May 10-12. Included is wide receiver Cody Wilson from Central Michigan, who played on the same offense with first overall draft pick left tackle Eric Fisher. Wilson, who played at Rochester Adams, is the son of Dave Wilson who is the long-time Lions’ team chaplain and the founding pastor of Kensington Church in Troy. But it’s not his dad that got him in the door. 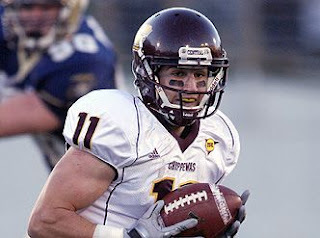 Wilson ranks third in receptions (230) at Central Michigan and fifth in receiving yards (2,729). He tied the longest streak in the NCAA by catching a pass in 42 consecutive games. He’s just one of 11 undrafted rookies who signed contracts. The others are: center Skyler Allen (Ohio), defensive tackle Michael Brooks (East Carolina), quarterback Alex Carder (Western Michigan), linebacker Alex Elkins (Oklahoma), tight end Joseph Fauria (UCLA), tackle Austin Holtz (Ball State), running back Steven Miller (Appalachian State), linebacker Jon Morgan (Albany), cornerback Martavius Neloms (Kentucky) and tackle LaAdrian Waddle (Texas Tech). Oddly enough with the signing of Miller and the drafting of punter Sam Martin, the Lions have more players on their roster from Appalachian State (two) than they do from either Michigan (none) or Michigan State (none). The Lions also invited a few other players to the rookie minicamp including Richmond quarterback John Laub, a relative of Matt Millen; Kansas center Trevor Marrongelli, Marshall receiver/returner Andre Snipes-Booker and Delaware State receiver/returner Travis Tarpley. The rookie minicamp is not open to the public, but the media (including me) will get our first look at all the Lions rookies wearing Honolulu blue and silver.